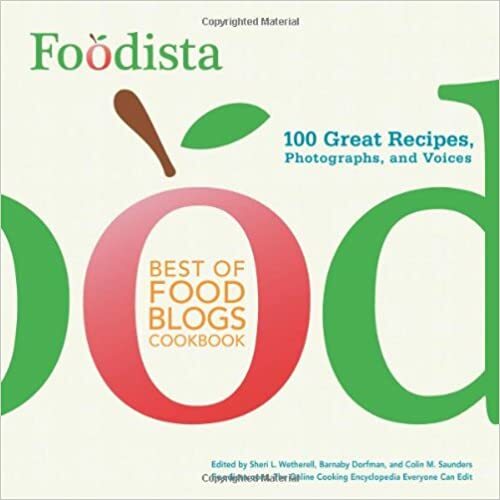 Foodista | Recipes, Cooking Tips, and Food News | Foodista Best of Food Blogs Cookbook Contest! Foodista Best of Food Blogs Cookbook Contest! As the first grassroots cookbook to emerge from social media, The Foodista Best of Food Blogs Cookbook features competition-tested recipes from foodie-favorite Web site Foodista.com. Foodista.com is the Web's premier source for collaborative cooking. The site's goal is to build the world's largest high-quality online cooking encyclopedia that offers followers everything from recipes to cooking instructions. Foodista.com bloggers worldwide were invited to submit their favorite blog posts, recipes, and photos to compete for a spot inside this cookbook. Winning entries were selected from all over the globe and include recipes such as Smoked Salmon and Mascarpone Calzone, Spiced Wine-Poached Persimmon, Prosciutto-Wrapped Broccolini with Basil Crisps, and Snickerdoodle Ice Cream. So, step away from the keyboard and open up The Foodista Best of Food Blogs Cookbook to explore the world of food that awaits! See the 100 contest winners on our Pinterest board here! Buy the book on Amazon in paperback or on Kindle.